Harry F. Kelly was born on April 19, 1895, in Ottawa, Illinois. He was the oldest son in a family of nine. After his graduation, Kelly’s father requested that his son read the law with him in his office prior to initiating his formal legal studies. Kelly spent a year in his father’s law office assisting him, prior to entering the University of Notre Dame Law School. Just before his graduation in 1917, World War I began. The entire Notre Dame graduating law class joined the American Expeditionary Force. In the Battle of Chateau-Thierry, Kelly led an assault on an entrenched German machine-gun position, and lost his right leg. Kelly was awarded the highest tribute paid by the people of France to a non-Frenchman, the Croix de Guerre. In 1920, he was elected by the people of LaSalle County, Illinois, as its State’s Attorney. During his term as State’s Attorney, his family left their hometown and traveled to Detroit where his father and younger brother Emmett had the law practice of Kelly and Kelly. Harry Kelly remained in Ottawa, Illinois, to serve out his term as State’s Attorney. He then joined his father and brother in the Detroit firm of Kelly, Kelly and Kelly. Kelly was selected by Governor Frank Fitzgerald to head the Detroit area Liquor Control Commission. Shortly thereafter, Kelly became Secretary of State in Michigan. Kelly returned to Detroit and the practice of law. His party called again, and in 1953 he was selected as the Michigan Repulicans’ unanimous choice as a candidate for the Michigan Supreme Court. 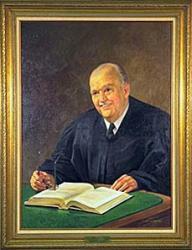 Kelly was elected to the Michigan Supreme Court in 1954 and remained on the high bench until 1971.